KU Leuven has two campuses in Brussels. Campus Brussel is located right in the city centre, close to the Central Station. You’ll be located in the middle of the the political and commercial centre of Europe and Brussels. As a student in economics, law or languages, that can only be an asset for your degree and later career. Campus Sint-Lucas Brussel is located in Schaarbeek, walking distance from the North Station. In this colourful area, cultures and contrasts come together, making it the perfect experimenting space for future architects. KU Leuven is a centre of research and education with international appeal. The wide variety of programmes will excite a good dose of curiosity and turn you into a critical, independent student. The courses are always based on scientific research, ranging from theoretical to practical research and everything in between. 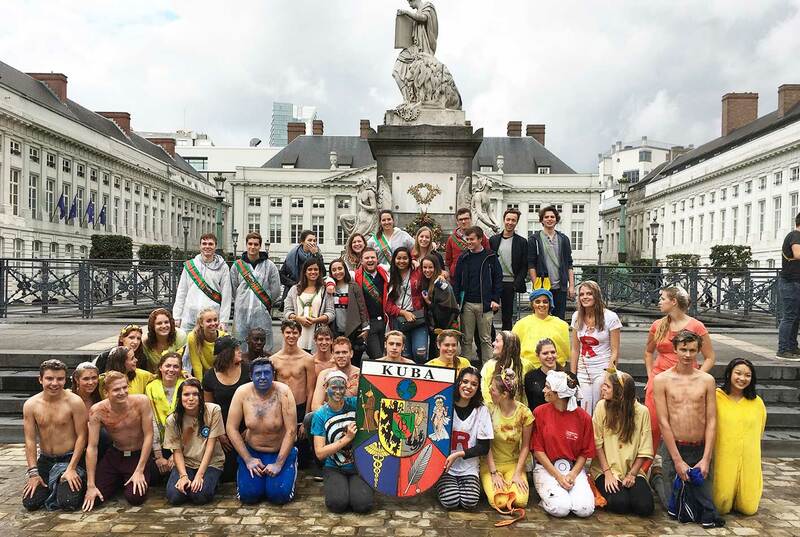 In Brussels, KU Leuven offers programmes from the Architecture, Economics and Business, Literature and Linguistics, Law and Social Sciences. Read on here for more information about what KU Leuven offers in Brussels. Do you want to get together with your fellow students? Do you want to take action for a good cause? Join one of the (international) student associations. For example Cement .